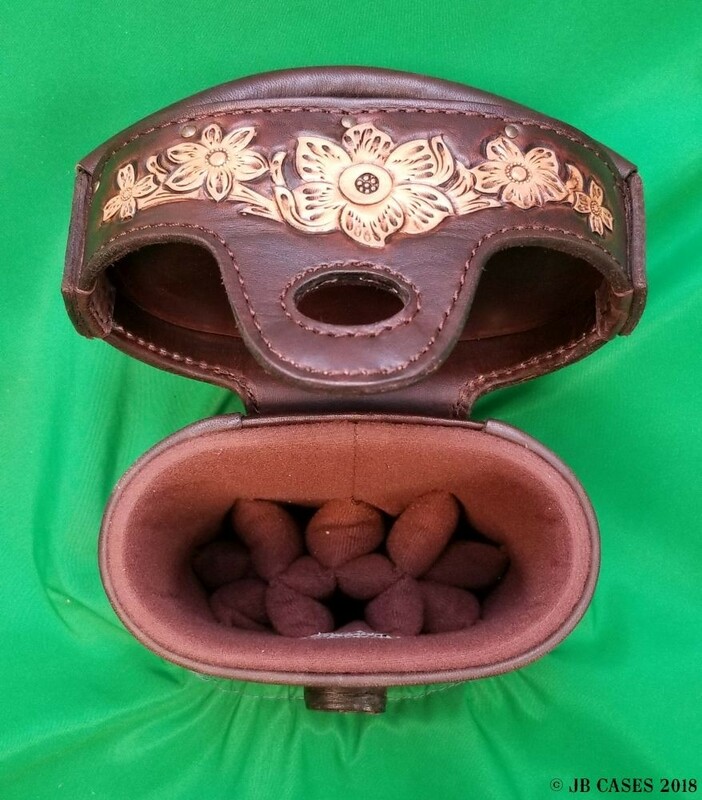 This beautiful Oil Tan leather case holds 3 butts and 6 shafts. Maximum interior length capacity is 31.5". This case is made of durable Oil Tan Leather with reinforced leather stress points. Features an UltraPad interior and very comfortable handles. Featuring a non-slip well padded shoulder strap. Zippers are the highest quality available and each zipper has two pulls in case one should break. Three spacious pockets for easy access to your essentials, including a magnetic top pocket.